Picking up right where we left off, folks. Don’t you deny your Wedding Board! I know most girls reading this are guilty. I am, too. Because of this: Pinterest is already hurting your marriage. When you open it you see delicious food and beautiful scenery. You see DIY projects, crafts, activity ideas, beauty tips, fashion trends, and oh, I almost forgot, the illusion that a sunset engagement photo is all you need for your relationship to mean something. Or just as bad, the idea that if you don’t have the pretty picture or gorgeous cake, your relationship won’t work. 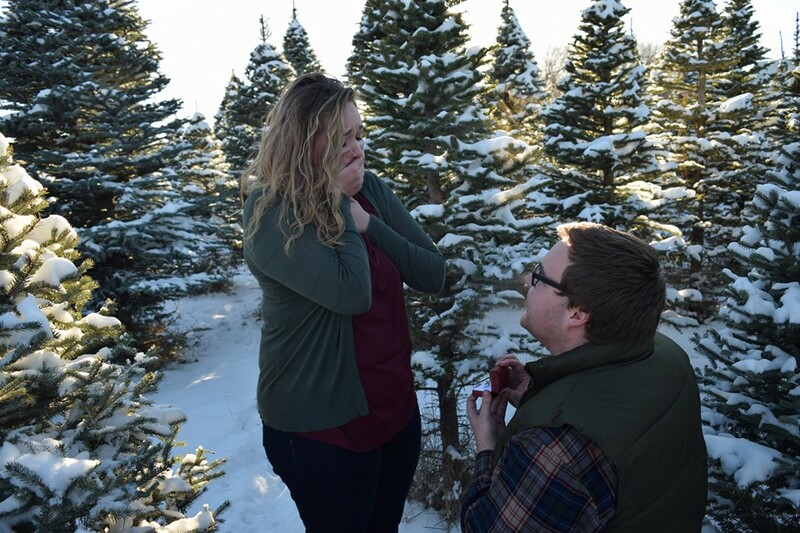 Maybe it’s not the engagement shot for you. Maybe it’s the cake, or the dress, or the venue (hopefully it’s a Temple!) or the color scheme. But when it comes down to it girls, whatever distracts you from the sacred and eternal covenants you’ll be making on that day is not good. You will be making a promise to your Father in Heaven and your spouse that day. Literally, the photographer could be a no-show, the cake could blow-up, and your dress could be destroyed and those covenants would still stand. Sisters, when you make your Pinterest board, fill it with articles that carry helpful marriage tips. Fill it with wholesome date ideas and activities to do as a family. Put reminders on it that love and marriage are blessings worth working for. They do not come with the perfect dress, pretty flowers, or even family pictures. Keep your Wedding Pinterest board. Please, don’t delete it because of this. But be ever mindful that your wedding day is about so much more than anything Pinterest can offer or describe. I pray that day is as glorious as it should be. I pray that you and your sweetheart have prepared to enter into those sacred covenants. I pray that you feel like the beautiful daughter of God that you are when you kneel across the altar. I pray that nothing you found on Pinterest crosses your mind during those powerfully binding moments. 6. Respecting the priesthood is worth your time. I get it. You’re in high school right now and while young girls are still missing parts of their brains, young men are really missing parts of their brains. Not every guy you know will care much about his priesthood. So what can you do? Firstly, look forward to what it will be like when you’re no longer in high school. Fun fact: guys change when you get to college. You will undoubtedly come across men who do not honor their priesthood. That will happen at every stage in your life. However, you will also come across many that do. The wearing of bro-tanks dramatically decreases, swearing is nearly non-existent, and they smell pretty good, too. Even if you don’t go to a church school, look forward to meeting young men that have the temple in their sights, and prepare for when you do. Another fun fact: the best way to help a man honor and respect his priesthood is to honor and respect yourself. You are a daughter of God. The most mighty and glorious being in the entire universe is your father. Treat yourself as an offspring of glory, because sister, you are one. Dress modestly and know that it makes a difference. Be kind to others not only because it’s the right thing to do, but also because the type of man you want to marry will appreciate that kindness. Stop tearing other people down. Stop tearing yourself down. Stop doubting that good men exist. Stop being a bitter old lady when you’re only in your teens; your time will come. Stop nodding off during baby blessings and setting-apart’s. Prepare for the blessings of comfort and health you receive. Treat the men around you with respect. Ask your guy friends about experiences they’ve had while using their Priesthood. Look forward to the opportunities you have to help them uphold that power, and thank them when they do. Above all, respect yourself. Act like the glorious being that you are. Hold yourself to standards you know to be true, and watch as those around you treat you the way you deserve to be treated. 7. Understand what the small and simple things do. You know the drill– you hear it every week in Sunday School. Read your scriptures, say your prayers, go to the temple, pay your tithing, and do service. I didn’t adequately understand why these things were so important until I was in college, away from my parents and teachers. I had to make a choice, like you will. Was I going to keep doing those small and simple things I’d been taught? How much did they mean to me? Well. They meant the world to me, because they became my true connection to heaven. Brad Wilcox, in a devotional given in 2011, explains perfectly why the small things matter. If we’re to feel comfortable in the presence of the Savior when He comes again, we need to do all we can right now. Father in Heaven didn’t tell us to do the small things just because he could; He shared them with us because He knew they would make all the difference. Please, do your part right now and prepare for Him. He so desperately wants you to come unto Him. 8. Exaltation does not just happen. Thomas S. Monson is not the president of the Church of Jesus Christ of Latter-Day Saints just because. Your Bishop isn’t your Bishop because He felt like it. Your Young Women’s president isn’t there because she likes to go to Girls Camp every summer. They took distinct and direct steps to get there. That doesn’t mean President Monson was predestined or anything like that, but it does mean that he sent signals to God his whole life that proved his willingness to serve and his ability to be trusted. Stop waiting for exaltation to happen to you. Throw aside the humble Mormon mold and fight for your seat in heaven. Live like His son. Walk with faith. Stand strong as a peculiar person in this tumultuous world. Do not wait on the side with crossed-fingers, hoping you make it to exaltation. Please know that you have the Savior of the world on your side. His mission was successful because it was based in knowledge and love. Trust Him. Live the kind of life He’d be proud of. Remember: You were not sent here to fail and you are not alone. I’m not just some random person spewing words at you. I have been there and I have done that. You’re not the only one feeling the way you do. And even if no one in your life gets it, Jesus Christ does. There is so much happiness ahead of you. Do what we’ve all been asked to do and live like Him. Be brave and stay beautiful, because oh, you are so inspiring. The hard work you’ve done does not go unnoticed, and the lives you touch are precious. Thank you for your example. We all have so much to learn from you. This is a good article, however I was disappointed that the author used the word, “freaking.” Freaking is a substitute word for a profanity word & no Latter Day Saint sure ever use it. I am disappointed in LDS Living allowing this word in an article, specially when the articles target is young women. I think you are mistaken. Like most words in the English language it has two meanings. Sad that your righteous mind went straight to the bad. Or is it your judgmental mind. This one little word does not discredit the article. Absolutely wonderful and something most young women need to hear. As latterday saints we are asked not to criticize. We as humans are not perfect and to criticize someone for using the word “freaking” is holding them to a lower standard than you and are we not all children of our loving Heavenly Father. To criticize others is only letting satan control us. This is a great article that shows everyone how important they are as children of God and what we are all striving for. As a 16 year old this helps provide hope for my life and a reminder that I am not alone. It also reminds us that we must work for eternal salvation. This is a great article and very recommended. You’re up WAY past your bed time. Go to bed Doyle! I am a laurel and this article surprised me in its genuineness and wisdom. I’m so grateful for the women who wrote this and her evident care and empathy. I also think this article is totally appropriate. I’m sure the work “freaking” was used only in a way to express deep passion about the topic and really drive in the message. It shocks me that some are so willing to criticize self-righteous at the drop of a hat. “Freaking” has no negative connotation or innuendo, but is simply synonymous with “really”, “exceptionally”, “extremely”, or “a lot”. And I can tell you that no shortage of my mormon friends in a predominantly mormonville-Utah school use that word. And I do firmly believe there are more serious sins to concern ourselves with besides language, like haughtiness, self-righteousness, hipocracy, and many more. Your age group was who I wrote it for! Thank you for reading. You are precious and loved! Look at the context in which that word was used. It was not a substitute for a profane word. In the context it was used here ‘why are you freaking out?’, it is not meant to be a substitute swear word. I don’t see an issue with it being used in this article, but understand we all are free to have our own opinions. 🙂 Great article! Which in no way implies that it’s being used as a substitute for profanity. to lose or cause to lose emotional control from extreme excitement. There are a lot of things no Latter Day Saint should ever do. But we do them cause we’re not perfect just like everyone else. Even if she did in fact use it as a replacement for a derogatory word, what matters most, The message that she is sending it how she is sending it? Language is not an easy thing to use. Along with everything else we have to learn how to use it. This girl is in collage. Give her a break. Thank you so, so much for that incredible article. It’s something I really needed to hear at this specific time and really helped me realize where my priorities are. So thank you. I think this is a great article. This (and “Please Tell Your Laurels part one”) is the sort of thing I would have found very helpful when I was in high school. (Except for the pinterest board. That didn’t exist when I was a Laurel.) Thank you for posting this! After reading the previous comment and reading from the article again, I’d also like to say that in American culture the phrase “freaking out” is used as slang. I have never heard it used for swearing. This phrase can mean that someone is feeling panicked or that someone is over-reacting to a situation. I know that slang can be confusing to people if they are unfamiliar with the culture, so I thought it would be helpful to mention this. Again, thank you for posting this article. I enjoyed reading it. I did not see my first comment post, so I am posting this again. I like this article. This (and “Please Tell Your Laurels part one”) would have been so helpful to me if I had read this when I was a Laurel. (Except for the part about the pinterest board because that didn’t exist when I was in Young Women’s.) Thank you for your words. After reading the first comment to this article, and re-reading a portion of the article, I wanted to mention something else. In American culture, the phrase “freaking out” is slang. I have never heard it used in place of swearing. This phrase can mean that someone is panicking or it can mean that someone is over-reacting to a situation. I know that slang can be confusing to someone who is less familiar with the culture that uses it. I thought this clarification might be helpful to some readers. Again, thank you for this article. I really enjoyed reading it. As latterday saints we are asked not to criticize. We as humans are not perfect and to criticize someone for using the word “freaking” is holding them to a lower standard than you and are we not all children of our loving Heavenly Father. To criticize others is only letting satan control us. This is a great article that shows everyone how important they are as children of God and what we are all striving for. This is a great insite on our eternal wants and needs. As a 16 year old this is a great reminder that i’m not alone and that we are working and learning to enter into heaven. When even our toughest challenges come we can succeed with the savior on our side. This also allows us to realize sacred covenants are the things we must learn and prepare for. Oh my heck. That is what you focused on? to lose or cause to lose emotional control from extreme excitement, shock, fear, joy, despair, etc. This was not used in the context that you are referring to. Thank you for a beautifully written part 1 and part 2. All of these points are so spot on for Laurels and I think you communicated them in a way that so many of us try to, but fail at. I am excited to share your blog with my Laurels. Thank you!